…among a bazillion other reasons why I love my job at Christian Horizons EVERY day, one of the most obvious reasons is that we CELEBRATE together. Once a year we have our district staff retreat, and every year for the last 4 years they have put me in charge of team activities. That means that EVERYONE gets to be a bit kooky, just like me. 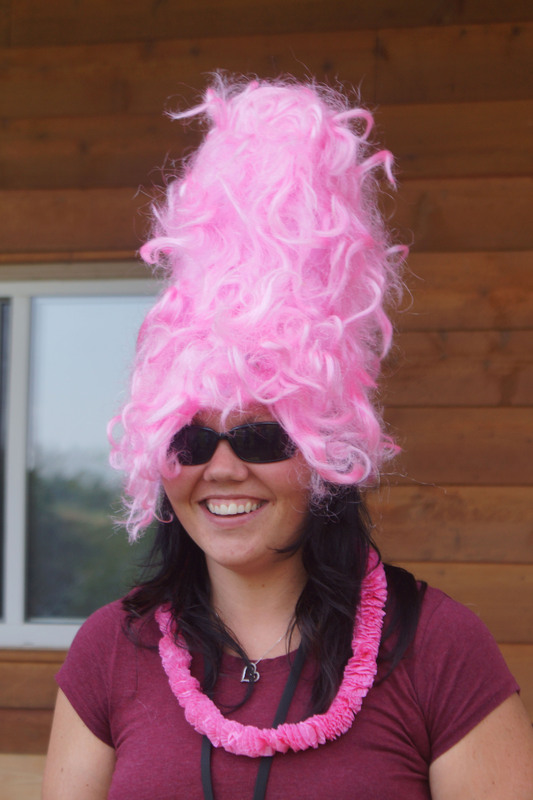 However not EVERYONE is brave enough to wear wacky pink hair. That is reserved for me, (below in the cyber-dreads) and one brave coworker, Mandy. (she’s the one in the pink bee-hive.) This is some SERIOUS team building folks!! I’m usually behind the camera for the purposes of this blog… but here I am in all my colourful plumage. I work with some really amazing people- who else has a team that will wear a pink wigs together? Also, for anyone paying attention, I have TWO jobs that I love- one, as a Program Manager at Christian Horizons, supporting people who have exceptional needs, and the other as a photographer- the primary reason for this blog. I know that I am SUPER blessed to be surrounded by people who love and encourage me, and that allows me to pursue my passions in both careers. (and often, I get to be the designated photographer at staff events such as this one) Often I learn a lesson in one setting that transfers over. For example- at one of our seminars at this CH staff retreat, I heard a great quote that I have been pondering since: “If you are big enough for your dreams, then your dreams are not big enough” (Erwin McManus). 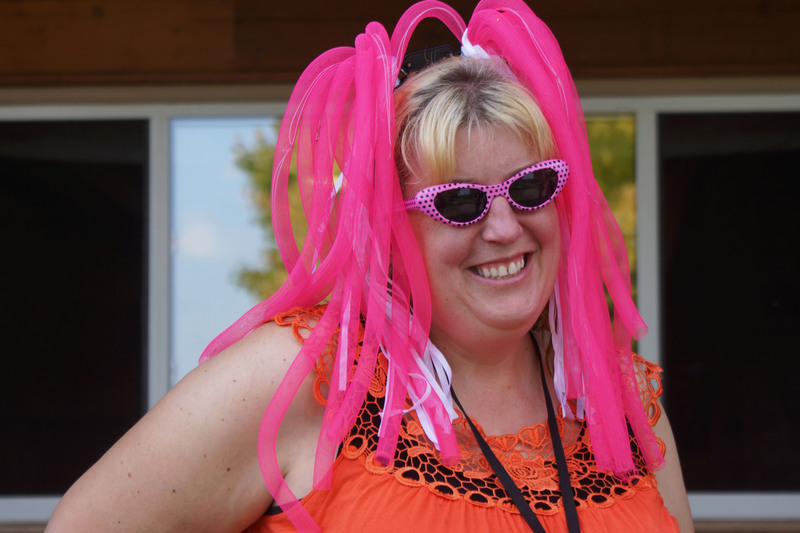 I think that will be the subject of a future blog post- but for now I am just letting it roll around in my head and my heart a little bit… while I wait for another appropriate opportunity to wear that pink wig again….